Libertarian Papers is delighted to welcome Allen Mendenhall to our editorial board. 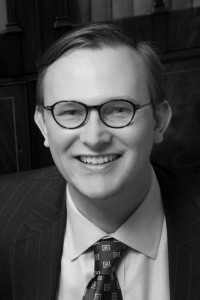 Allen Mendenhall is a staff attorney to Chief Justice Roy S. Moore of the Supreme Court of Alabama and an adjunct professor at Faulkner University, where he has taught in the law school, the English Department, and the Department of Humanities. He earned his Ph.D. in English from Auburn University, M.A.and J.D. from West Virginia University, LL.M. from Temple University, and B.A. from Furman University. Author of hundreds of publications, including the book Literature and Liberty: Essays in Libertarian Literary Criticism (2014), he lives in Auburn, Alabama. Visit his website at AllenMendenhall.com. Allen has already distinguished himself as a pioneer of libertarian literary criticism. You can read Jo Ann Cavallo’s glowing review of his book here.